Belthangady Sep 1, 2016: A minor Dalit girl was kidnapped and raped by two miscreants at Bajire Village near Venoor and Police have succeeded in detaining two persons including distant relative of the victim. As per the police, incident occurred when the 16 year old girl was on the way to her home, the girl was picked up by her relative in his auto rickshaw by promising to drop her home. After sometime his friend also boarded the auto rickshaw. 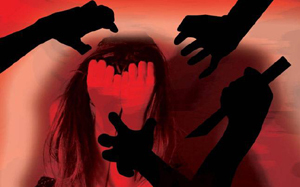 The girl was forcibly taken to isolated place in Venoor and raped. She returned late of Tuesday night. Girl informed to her parents about the incident and complaint was registered. Superintendent of Police Bhushan Gulabroa Borase confirmed that both the accused have been arrested.